You'll be £6.00 closer to your next £10.00 credit when you purchase From Corunna to Waterloo. What's this? Living as we do in the midst of a technological revolution, during which the nature of war has changed more rapidly than in any other period in history, the stirring, colourful days of the Regency and The Peninsular War seem now so remote that they are effectively removed into mythology. Inspired in his boyhood by the kindly and unfailing help of a distinguished Edwardian historian - C.C.P. Lawson, to whom this fascinating book is dedicated - John Mollo has devoted many years to the study of the British Army in the Napoleonic era, its campaigns, triumphs and disasters. In so doing he has not only become a master of the most kaleidoscope range of uniforms worn in the period - a subject on which he has published widely - but also the whole social and political background against which the army achieved some of its most historic successes. Here he describes the conception, gestation, birth and adolescence of the first British Regiments of Hussars - the byproducts of the Prince Regent's passion for military finery and dandyism - leading on to their full maturity in the grim realities of war in the Iberian Peninsula between 1808 and 1814, first under Moore and then under Wellington, in two widely different campaigns. Basing his story on contemporary letters, diaries and reports and a comprehensive bibliography, John Mollo takes the reader into the heart of the Hussar Brigade in peace and war, depicting its many colourful characters with a sure hand and describing every facet of day-to-day life, in barracks and on the battlefield. In so doing he highlights the extraordinary contrast between the foppish dandyism so beloved by the Prince Regent and the dashing courage and fortitude of all ranks as they fought under the most severe conditions of climate and terrain, often against considerable odds and lacking many of the bare necessities of military life. This is a story based on the harsh realities of war in the early years of the nineteenth century and both sides of the coin have to be examined. On the obverse we find the brutal imposition of discipline by the excessive use of the lash, the devastating effect upon the Peninsular Army of easy access to almost limitless supplies of alcohol, leading to situations which have had no military parallel in our own time, and human suffering almost beggaring belief. 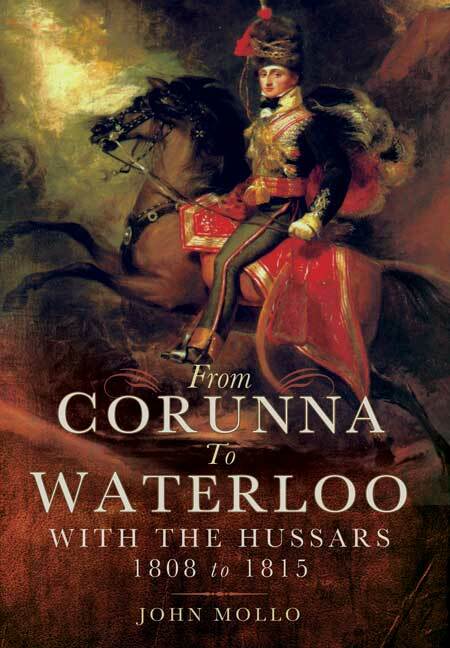 Mollos description of the Hussars part in Moores retreat to Corunna is unforgettable. Written with great elegance, the touch of a natural story teller and the imprint of a true lover and student of military history, this is a book to treasure. The two officers in question - Major Edwin Griffith and Captain Frederick Philips – both served in the British 15th (King’s) Hussars for much of the Napoleonic Wars. They wrote home regularly and were not afraid to voice their feelings about their situation, comrades and superiors. Their home service varied from policing the Luddite riots to escorting treasure convoys and customs patrols. They served in the Napoleonic Wars, including the victory at Sahagun 1808, the retreat to Corunna 1809, Portugal 1813 and the advance through Spain into France, seeing action at Vitoria 1813, Roncesvalles 1813 Toulouse 1814 and finally at Waterloo 1815. Major Edwin Griffith alas did not survive, falling at Waterloo. First published in 2007, the well edited text is resplendent with interesting asides regarding the life and loves of a cavalry officer of the Napoleonic era. The main body of the work is preceded by a preface, an introduction, an historical background, acknowledgements and a note on spelling, plus a map of northern Spain and southern France. It is rounded off with a bibliography and an index. A thoroughly researched and engaging history of the 15th Hussars throughout the wars, crammed full of interesting asides regarding the life and loves of a cavalryman in the Napoleonic age. John Mollo was born in London in 1939. He was educated at Charterhouse, and did his National Service with the Kings Shropshire Light Infantry. He developed a strong interest in the study of military history and costume, and in 1965, was asked to work for the director Tony Richardson as historical adviser on the film The Charge of the Light Brigade. Since then his film credits as costume designer/military advisor have included The Adventures of Brigadier Gerard, Nicholas and Alexandra, Barry Lyndon, Star Wars (for which he received an Academy Award), Alien, The Empire Strikes Back, Outland, Gandhi (for which he received a second Academy Award), Greystoke, King David, Revolution, Cry Freedom, Chaplin, and more recently, Sharpe's Rifles, The Three Musketeers and Jungle Book. 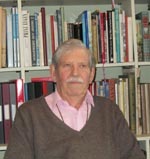 John Mollo passed away in December 2017 at the age of 86. His obituary was published in the Telegraph.